There wil be a new, 6th edition of ‘Neuroscience’ , the course textbook. Prof. White will work on a new edition of the course, based on that next edition. The release of the 6th edition will take place early 2017.. Prof. White will add new anatomical videos, including more content from MRI to the Neuroanatomy of the course. The part in the course on Cognition will be enriched by another resource. Prof. White will add content from the second edition of Dr. Purves’ and colleagues’ other major textbook, Principles of Cognitive Neuroscience . Consequently the resources and the Study Tips on Cognition, will be updated to the new content. In Brain Development you had an excellent opportunity to review material. You have the same opportunity in Cognition. First of all there is this strategic Study Tip for reviewing previous material. Under a Video Tutorial at the right hand side of your screen you see in the list of Downloads two text files. The first one is a file with Subtitles (WEBVTT)) , the next one is at Transcript (txt). You can use the .txt files from the tutorials that contain information on the concept you want to review to decide which of the tutorials you want to watch again. You can open the txt files in Notebook. The information in the file ‘Subtitles’ (WEBVTT)) refers also to the time slot in the tutorial where the text is spoken. You can go back to a specific time in a tutorial and review the visual material that is presented on a certain neuromedical concept. Also you can use the resources on the Virtual Lab, Unit 5: Cognition. What happens when you remove the hippocampus? TED-Ed Originals by Sam Kean. 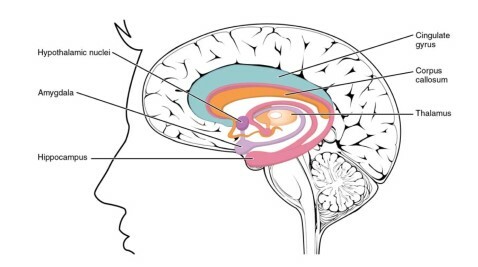 Regions and functions in the cerebral cortex: this is a list of functions and deficits or problems that occur with injury at particular locations.